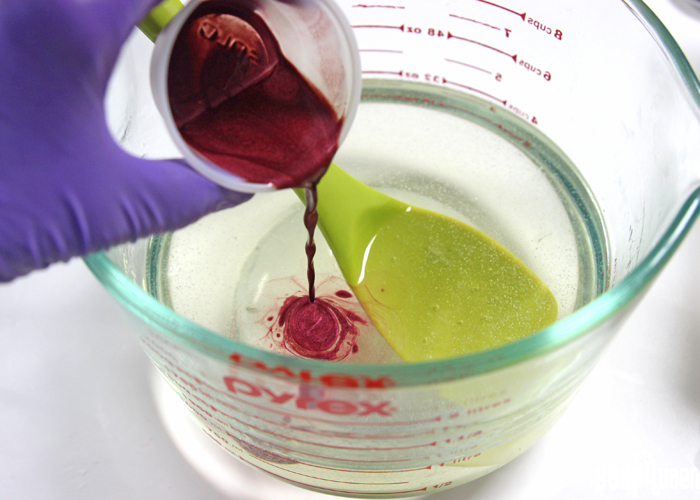 PREP COLORANTS: In a small container, mix together 1 tsp. Merlot Sparkle Mica and 1 Tbs. rubbing alcohol. This step is optional. Mixing the mica in alcohol helps it to mix into the melted soap a little bit easier. ONE: Chop and melt 20 oz. of Clear Melt and Pour Base in the microwave using 30 second bursts. 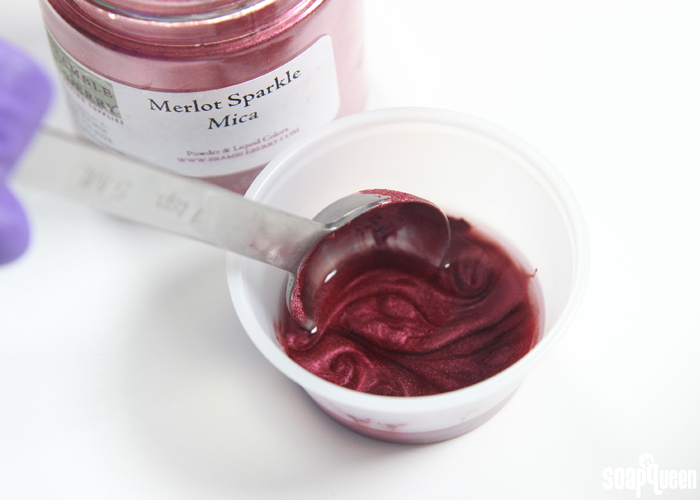 Once completely melted, add all of the dispersed Merlot Sparkle Mica and use a spoon or spatula to thoroughly mix in. TWO: Add about 1/4 tsp. 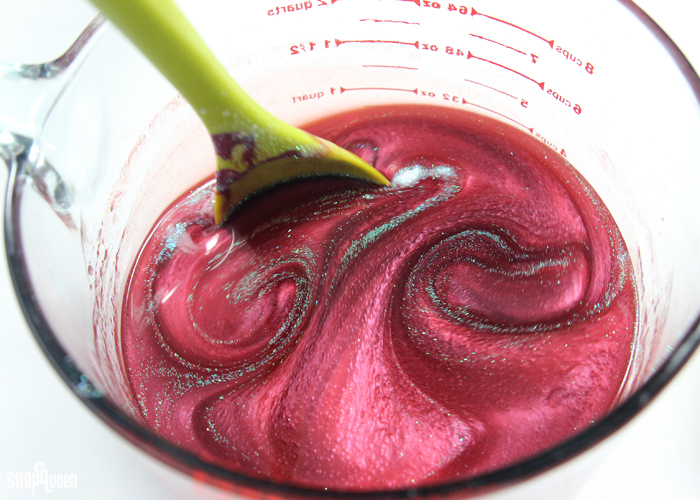 of Fine Iridescent Glitter and stir until fully mixed in. 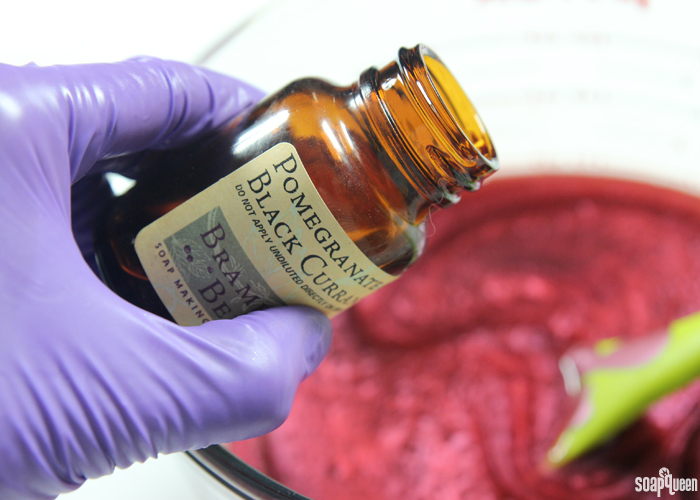 THREE: Add the Pomegranate and Black Currant Fragrance Oil and stir to thoroughly mix in. 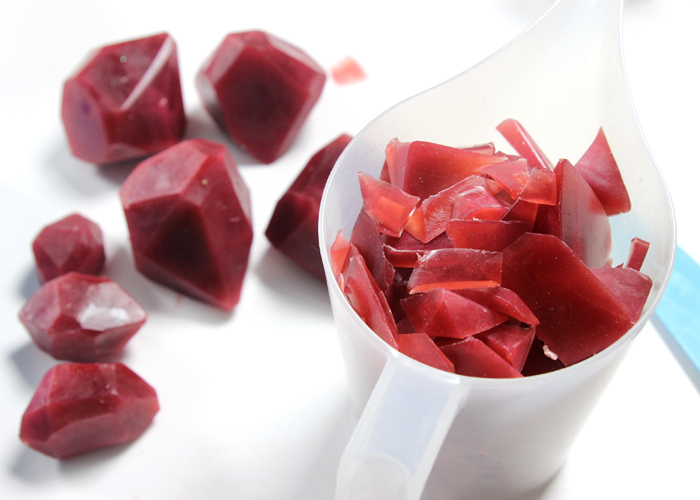 FOUR: Allow the soap to cool to below 130° F or below. 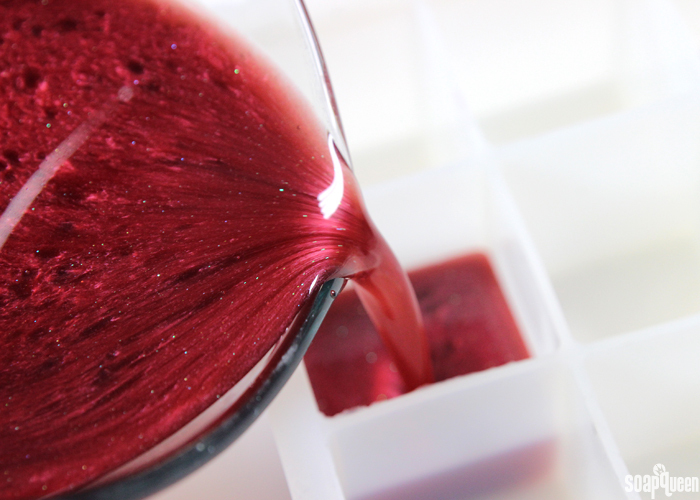 Letting the soap cool slightly helps suspend the glitter throughout the soap. 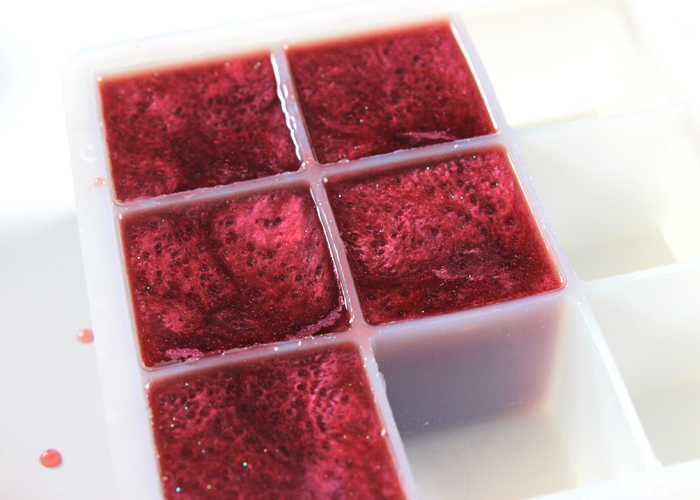 Pour the soap into the cavities of the 9 Cube Soap Silicone Mold. It will fill about 5 cavities, or more if you don’t fill them up all the way. FIVE: Spritz the top of the soap with 99% isopropyl alcohol to help disperse bubbles. Allow to fully cool and harden. 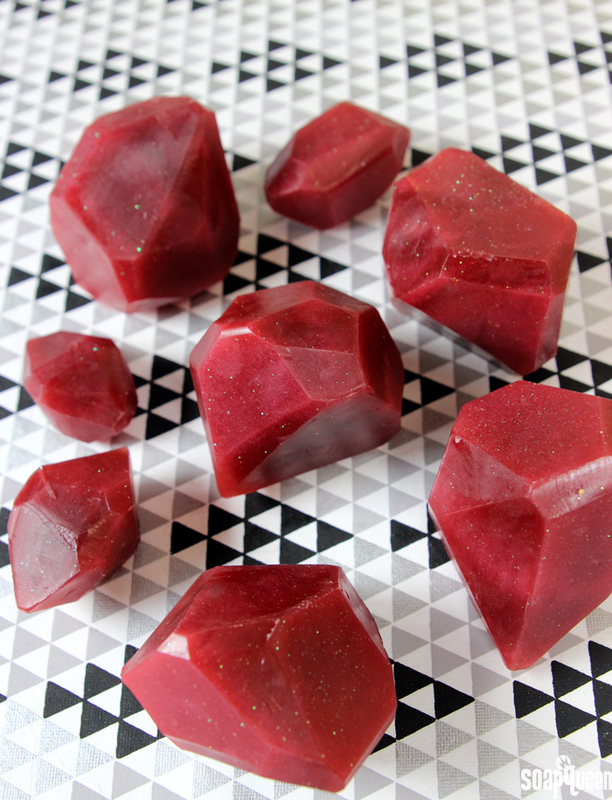 SIX: Once completely cool, remove the cubes from the mold. 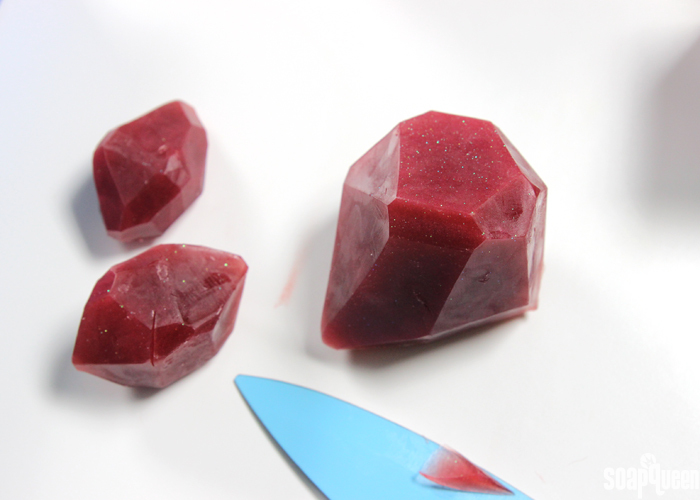 Then using a sharp, non-serrated knife, carefully cut the cubes at random angles to create various gem-like shapes. There is no right or wrong way to cut your gems, so have fun with it! SEVEN: Once you’re done cutting your gems, don’t throw away the scraps! 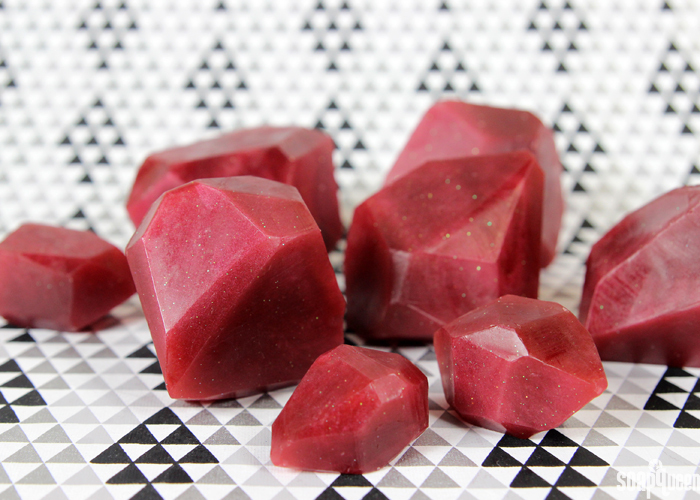 Save them to remelt, repour and make more gems! They can also be used to embed into other melt and pour projects. 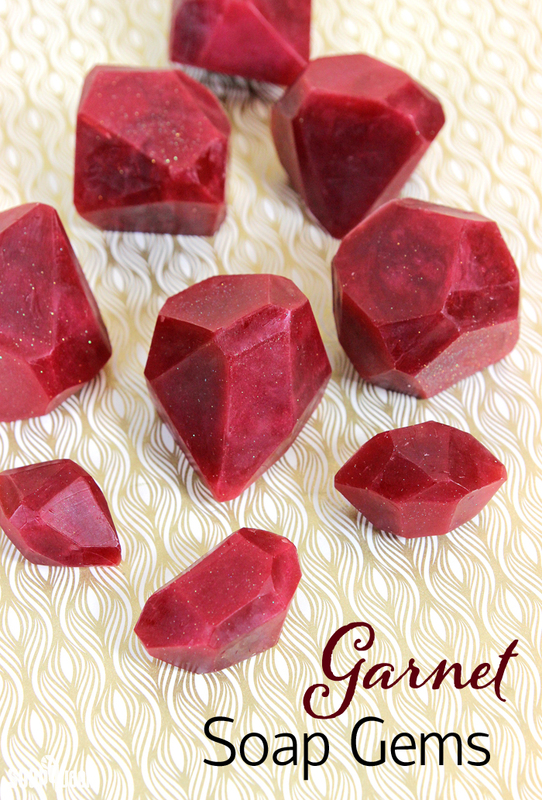 To avoid glycerin dew, wrap the gems in plastic wrap immediately after cutting. Click here to learn more about glycerin dew and how to prevent it. Enjoy!